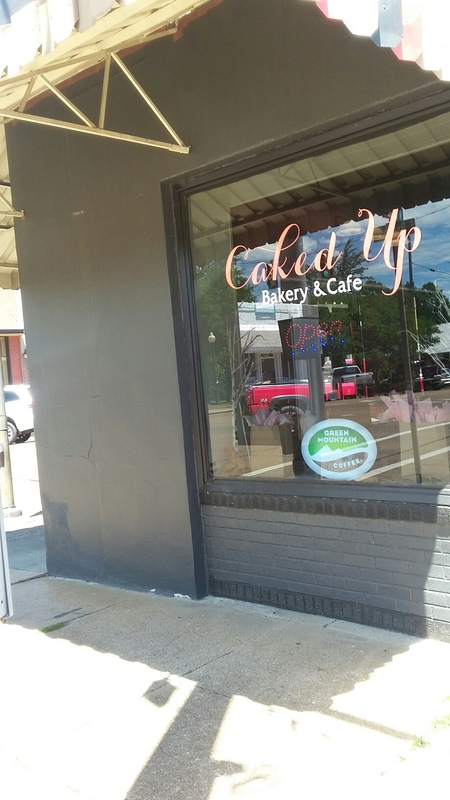 Today was our first trip to the newly opened Cafe at Caked Up in downtown Eupora and it was worth the wait! YUM! 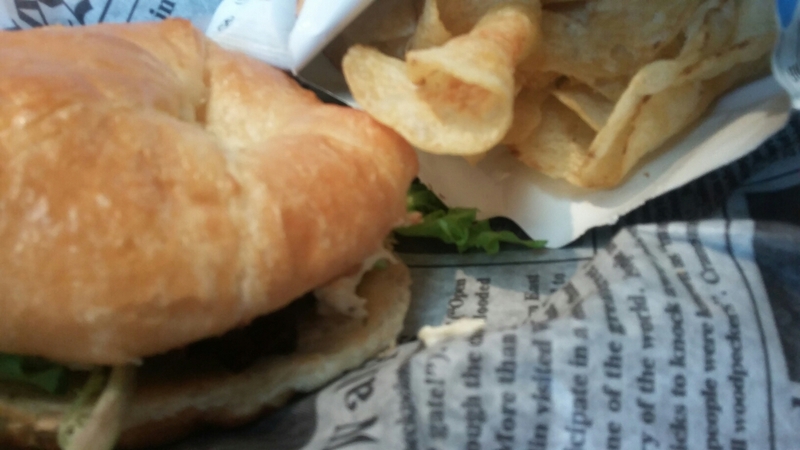 I will say I was totally impressed with the chicken salad sandwich on croissant –my favorite bread for the chicken salad sandwich. The croissant was toasted, which was delightful! 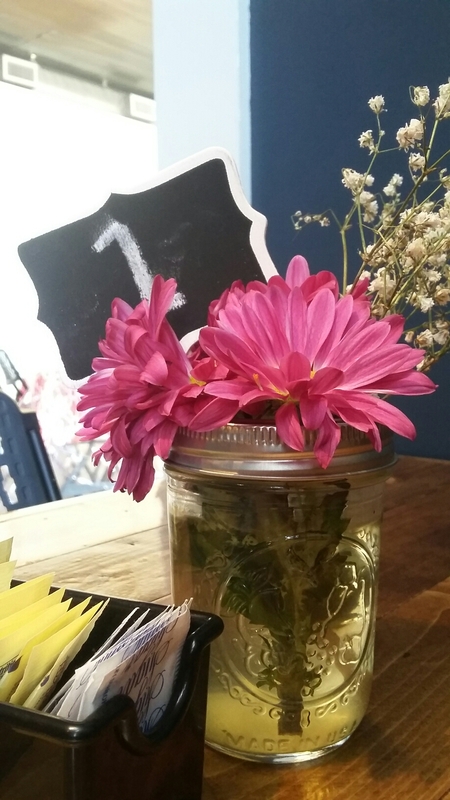 And their chicken salad has a little something different about it. 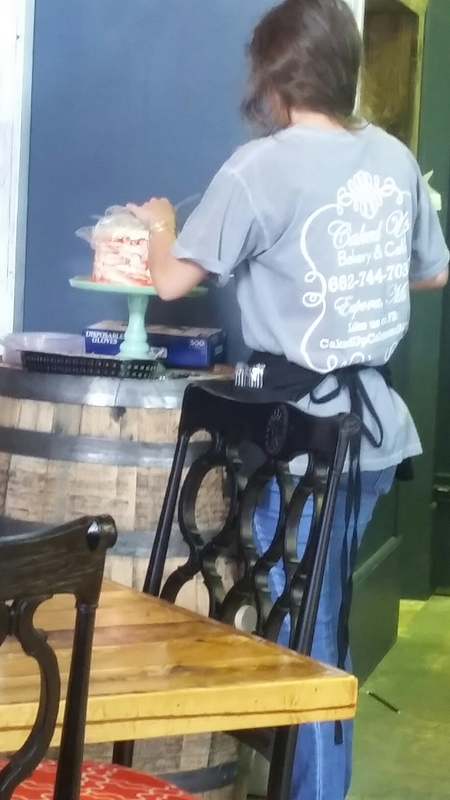 I am sure it will take a few more sandwiches to figure out what they put in it! It was so good, and then we had dessert. I will tell you that we rarely order dessert when we eat out. 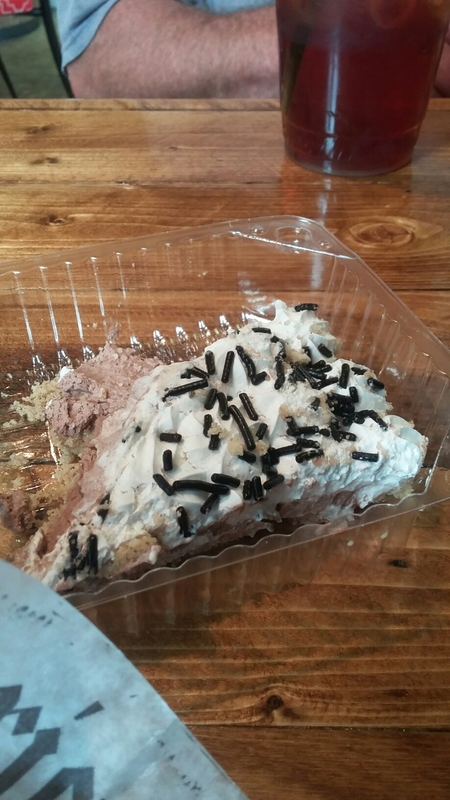 But Pepper said the words CHOCOLATE CREAM PIE just jumped off the chalkboard at him. 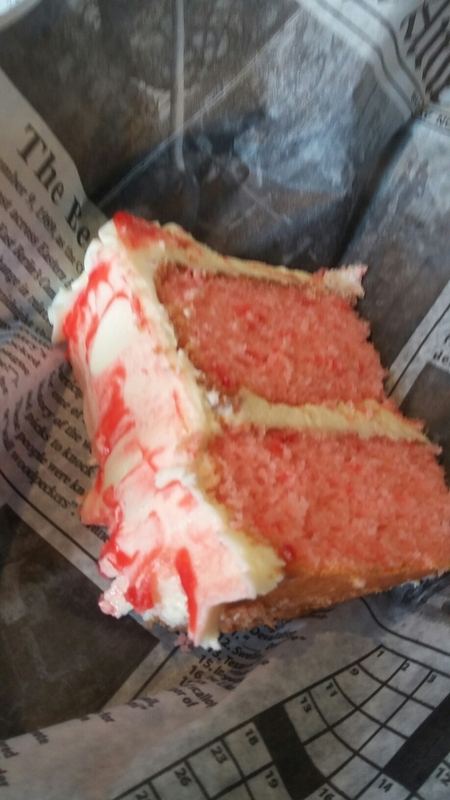 I was fairly taken with the atmosphere and the Strawberry cake on display by the kitchen! YUM!